After two awful nights of pain in my hips that I haven’t experienced in a LONG time, I am back to being in good shape again today. With another lovely day here in Chicago, I took my bike out for another solo ride as I waited for Alexander while he was in class. Today I started out on the same path but went the opposite direction from my ride on Monday. This path soon lead me to a new path that I didn’t explore on the last ride.. 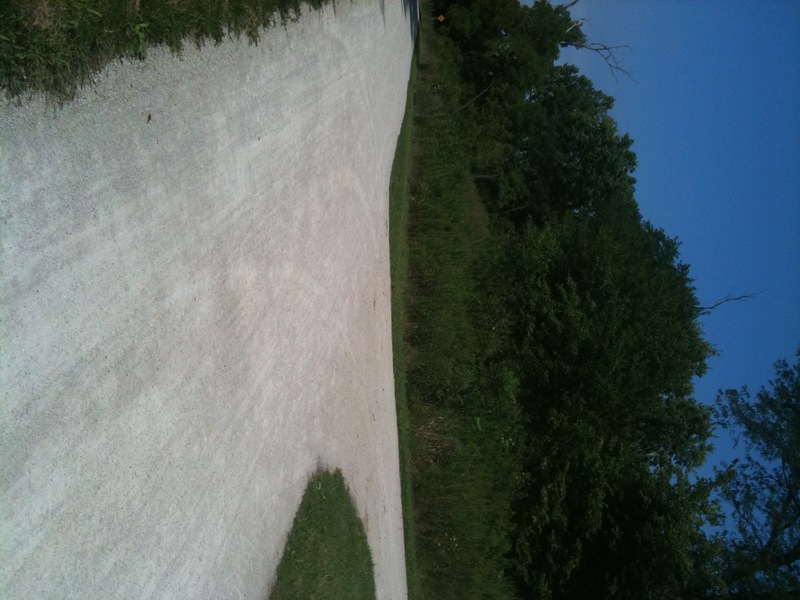 I felt excited trying out a new path and rode along happily until the path came to an end. I then turned around and followed a path I was already familiar with. It too led to other paths I didn’t take on Monday. One of the paths I chose to follow was less traveled, which seems to be the path I tend to like taking in many areas of my life. I followed it for a while enjoying the quiet, the butterflies, the sun, and the prairie flowers. After a while, this path also ended and I once again found myself turning around and following the same path again, yet this time I knew that no matter how many times I took the same path, it would always be different. I would always run into different people, always see a plant I missed the last time through, and always be thinking something different each time I took the same path. I might decide to keep following the familiar path or I might decide to branch off and see where the new path would take me. There were always new possibilities. Quite possibily the new path might take me to another dead end or it might take me down the path that would lead me to exactly where I want to be. These paths I followed today reminded me much of my experience with rheumatoid arthritis and life in general. I am often following a path that has been followed by many, yet me going down the same path will never be the same as it was for someone else. 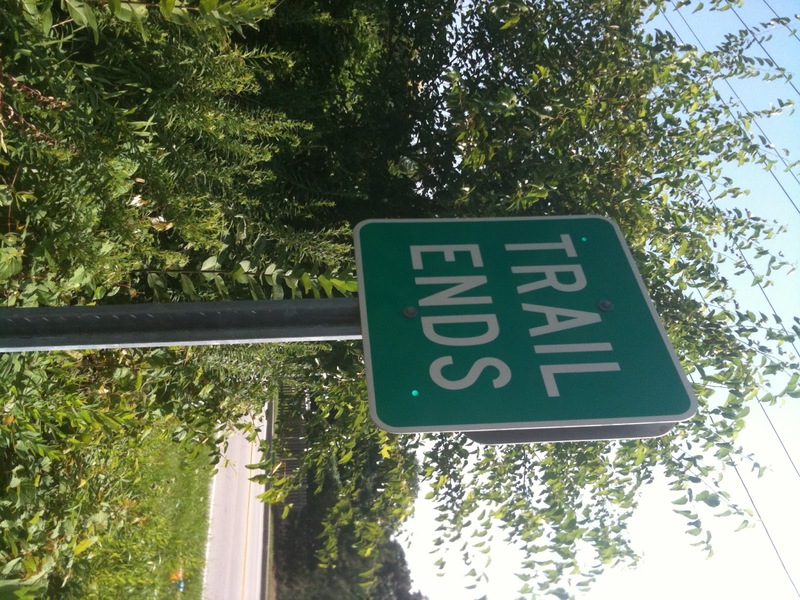 With rheumatoid arthritis I have taken off on several familiar and unfamiliar paths and many have ended up as dead ends. Not that the dead ends didn’t provide growth for me, it just meant it was time to turn around and look for different possibilities. There has never been a path I have followed that didn’t provide something for me, just as each path I rode on today provided something for me until it was time to turn around and rethink my next steps. This ride today gave me time to think about other life issues besides rheumatoid arthritis, mainly how I have been feeling lately about our unschooling journey. For the last three years or so I have felt we have needed to move onto a new path with our unschooling, yet the familiar path has been the easiest since my flares left me with little other energy. This last year I have gained lots of strength and energy as the inflammation has diminished. The familiar path, that seems to be going nowhere, is now shouting out louder to me that we have been down this path way too long. It is time to adventure out and see what new paths are ahead for us. Riding today made me realize that although I am a person that needs security and structure, I am also a person that loves change. In fact I crave change. I don’t always embrace it right away, but I need it and when it comes, I feel good. I think that is why I have been able to embrace rheumatoid arthritis. For me it is a continous change that forces me to look deeper into who I am and what I am doing. Now that my health is back, it is time to do that same thing with our unschooling journey. It is time to branch off and possibly away from people that we have shared this journey with for a long time. It is scary because right now we don’t know what path to take and it even seems like there aren’t any paths branching off from the familiar one right now. That is the part that makes me feel confined. I know the change is there, but I don’t see the possibilities, YET. This ride was awesome for me today. It cleared my mind and put a lot of things into perspective for me. As I rode I felt more sure that even though we don’t know what path we will take next with unschooling, I do know that like with rheumatoid arthritis, the paths will always open up and something new will be around the corner waiting for us. Life is always full of new opportunities, sometimes they just don’t come to us as quickly as we would like. To top off my ride today I ran into a fox. It was just the two of us, me on the path and he in the prairie grass. I slowed down to look at him and he stopped to look at me. I knew not to waste my time getting my camera out but instead needed to just enjoy this beauty from nature while it was in front of me. After a few seconds he seemed to have had enough of me and turned around. He went down his path and I went down my path, just as it should be. I am also a fan of change. Comfort is one thing but it doesn’t necessarily last. And you are right, the possibilities are always there. We just have to be willing to look for them and embrace them. Good luck with all your journeys and adventures. From the time I started to follow your experience, I knew how exceptional you are then and I know how exceptional you are now when it comes to making changes to help you overcome. It is an experience I have learned a great deal from. Lana, thanks so much for you comment. It means a lot to me. It has been amazing reading about the lives of blogger friends over the years and seeing how each of us have taken different paths, yet we have all grown so much. Your blog has been an inspiration to me as well and I am sure will be for a long time. A beautiful post and such an eloquent analogy. I, too, embrace change and occasionally make a change to see what new opportunities await. Change doesn't always bring growth, but you certainly can't have growth without change. Good luck on your journey, on whichever path you find yourself. Thanks Cathy for a thought-provoking post. Change is good — shaking things up is always an adventure for me, one that I appreciate. I love change, too. Not many people I know feel the same. Thank you for your sweet comment on my blog the other day. I was in a bad place. I'm feeling better now…at least emotionally.